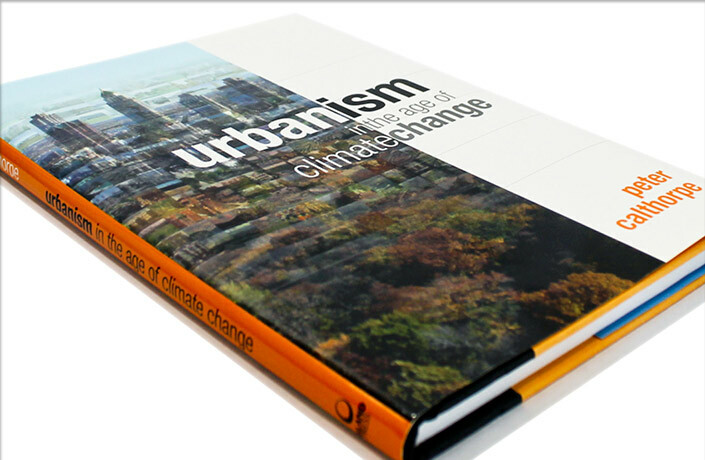 Peter Calthorpe is a preeminent urban planner and a pioneer of New Urbanism and smart growth. 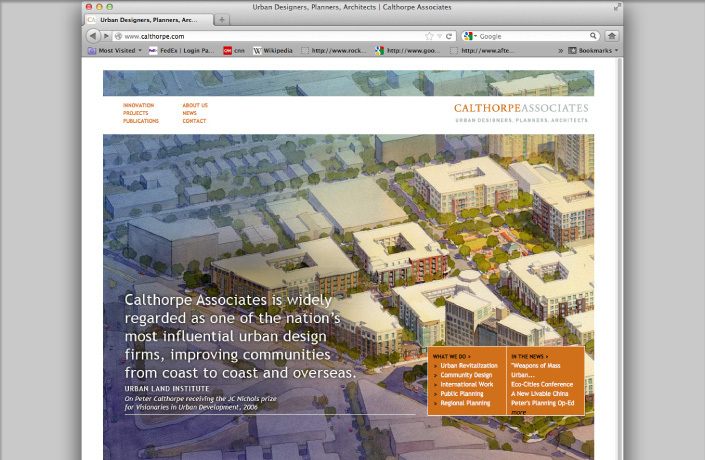 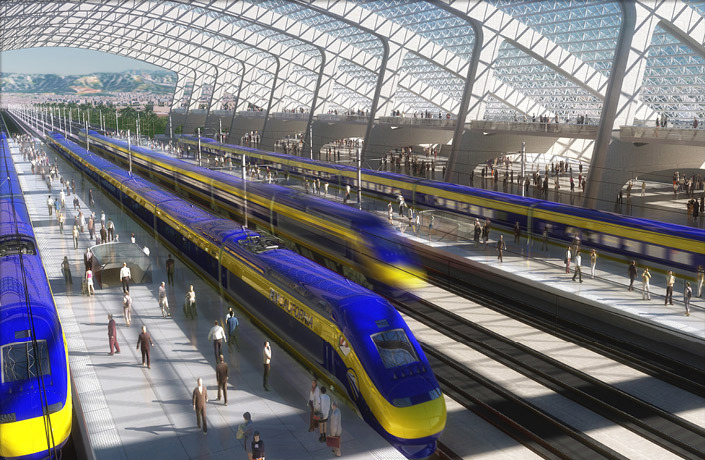 Calthorpe Associates has worked around the world to create new models for regional planning and transit-oriented sustainable development. 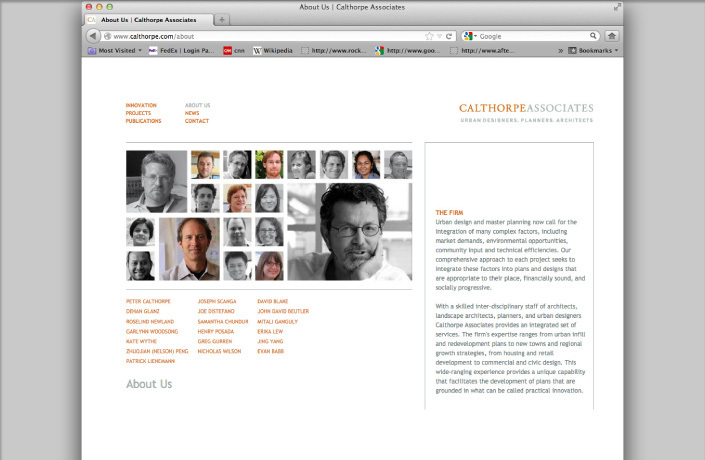 L Studio has worked with Calthorpe on an ongoing basis, creating the firm’s identity, managing the design intent, structure and programming of its website, and creating several print communications for the firm. 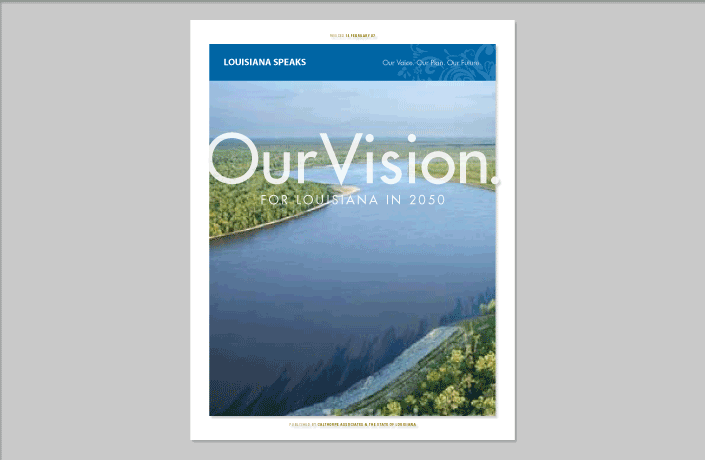 L Studio has also packaged numerous project plans and vision documents for the firm, including Mesa del Sol in Albuquerque, Saltworks in the San Francisco Bay Area, and communications for the new regional plan for Louisiana after Hurricane Katrina. 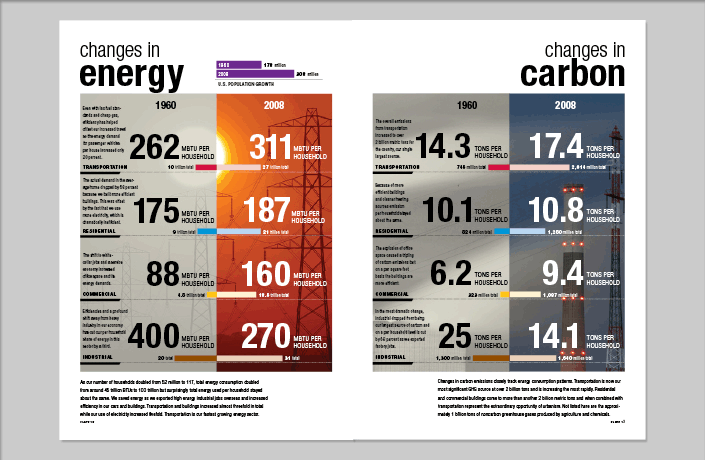 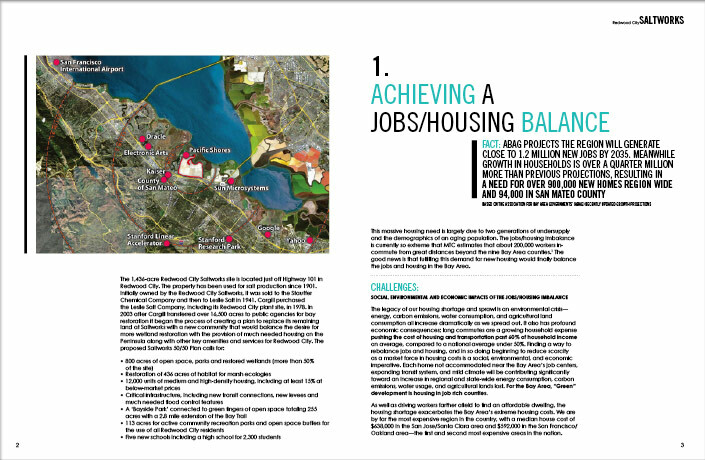 Most recently, L Studio designed layout and infographics for Peter Calthorpe’s 2010 book, Urbanism in the Age of Climate Change, a smart growth primer for students, developers and policy-makers. 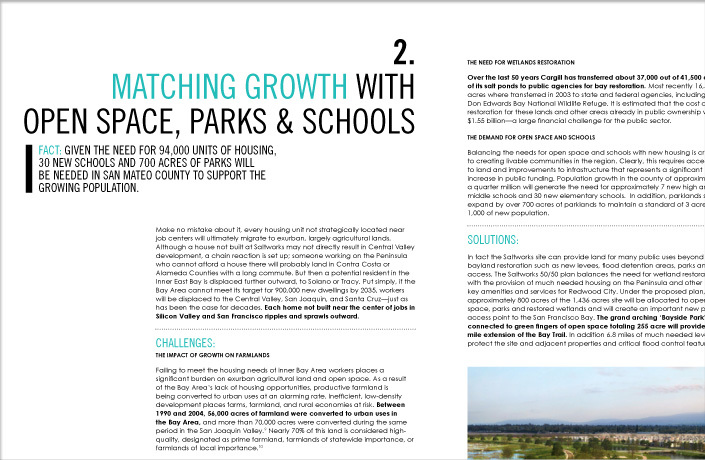 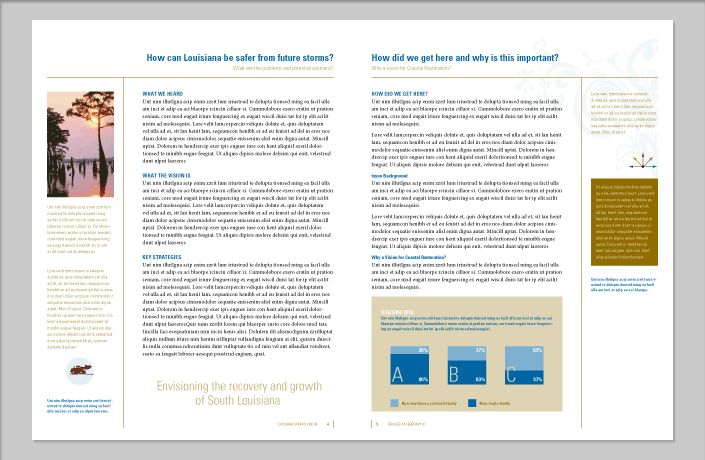 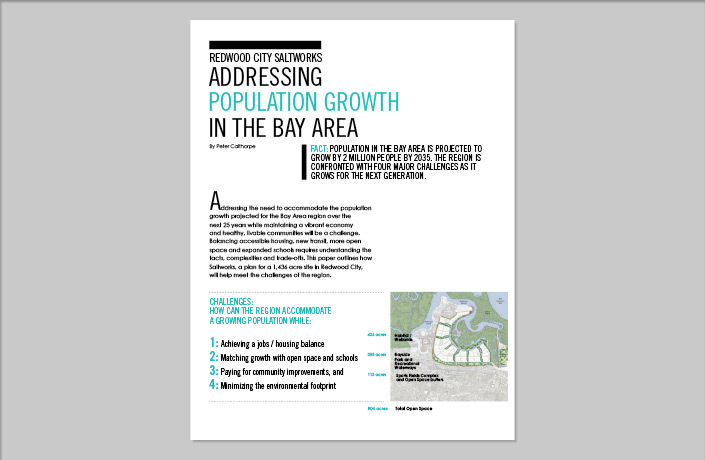 Design of layout and infographics for this smart-growth primer written for students, developers and policy-makers. 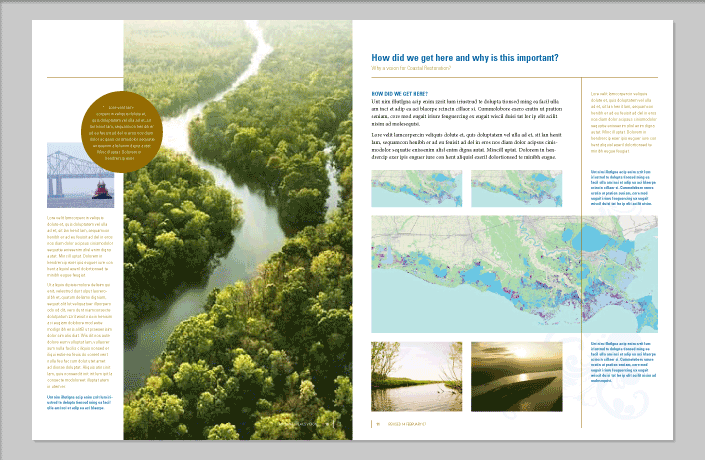 Design intent, information architecture and project management for the firm’s website. 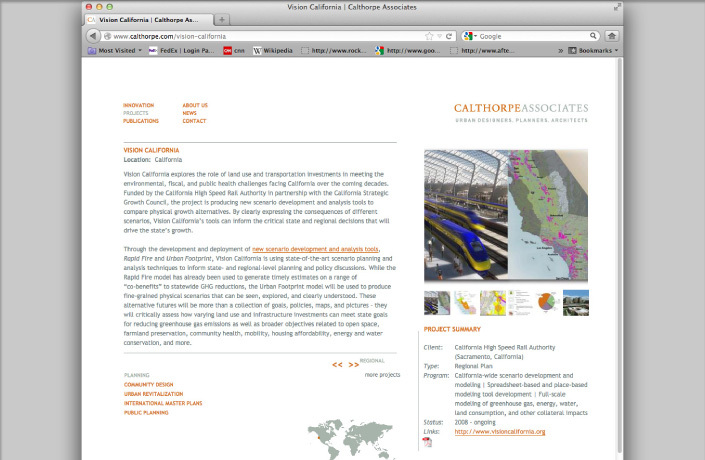 Design of an article outlining Calthorpe Associates case favoring transit-oriented mixed-use development on the former Cargill salt flats in Redwood City, CA. 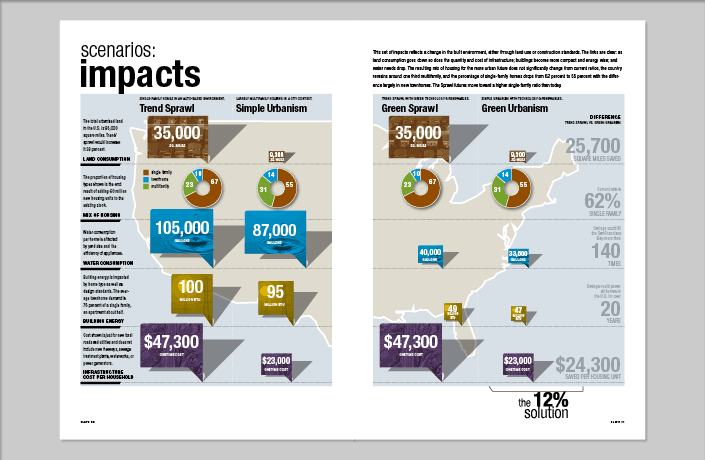 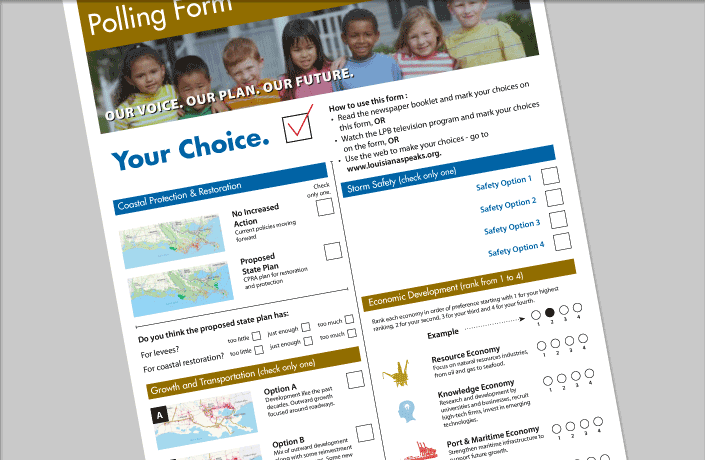 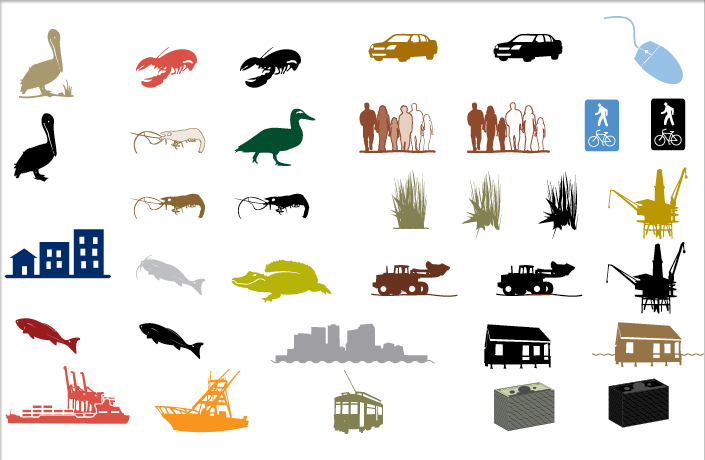 Symbolic infographics and design of a public survey to gauge opinion about how Louisiana should redevelop infrastructure, housing and commercial real estate in the wake of Hurricane Katrina.